A Uniquely Formulated Complementary Feed of Chelated Trace Elements, Minerals, Vitamins and Amino Acids. 1. Improves fertility rates with reduced number of cows not in calf. 2. Reduces risk of extended calving intervals. 3. Fitter cows at calving. 4. Aids in the reduction of stillbirths with greater number of healthier calves born. 5. Improves overall herd health status. 7. Ideal for beef cows, dairy cows and replacement heifers in pedigree and commercial herds. 8. Available in 5lt, 2.5lt and 1lt simcro pack with back strap included. 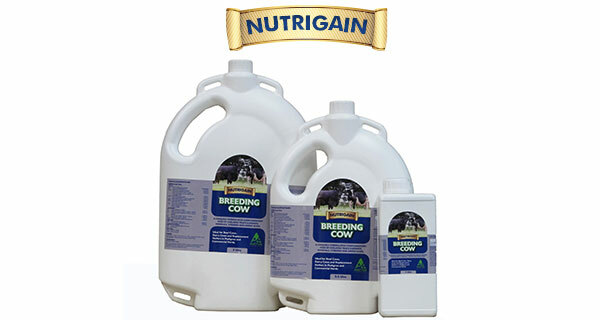 To download NUTRIGAIN BREEDING COW product information, click here.